8" model with matte green frame. 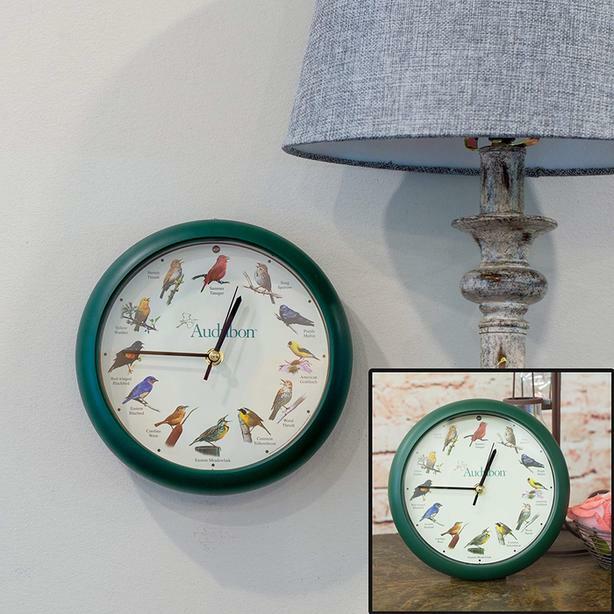 Plays sounds of 12 North American song birds, one at each hour. Built in light sensor turns sounds off when the room is dark. Uses 3 AA batteries (not included). Can hang on wall or stand on a desk using the included stand. Note that clock does make a ticking sound with each movement of the second hand. Clean, excellent condition.